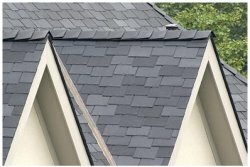 The Ebricks.com Roofing Shingles guide offers information about companies such as CertainTeed and Absolute Steel Metal Roofing Source. Manufacturer of copper roofing shingles under license from Revere Copper Products, Inc., plus painted aluminum and painted steel shingles. Supplier nationwide of metal roofing, metal shingles, and standing seam roofing materials. Web site illustrates and explains each of the company's product lines, and offers detailed specifications, warranty info and such. Direct online sales of metal roofing materials, including panels and shingles. Nationwide shipping offered.